We print images using on a new Digital Dry-lab printer that produces excellent results on glossy or lustre waterproof paper. By elimination warm-up times, we are able to provide short turnaround times on demand. 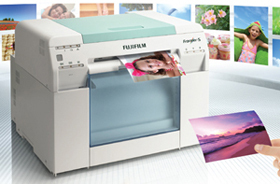 Standard prints are machine processed for sizes from postcard (9cm x 13cm) to 8" x 12" (20cm x 30cm) enlargements. Passport size and Wallet size prints are also produced, as well as Index prints (typically up to 60 images on a single sheet) in a variety of sizes providing for easy image selection before printing larger pictures. Business cards, passport and visa photos and other specialist applications are also offered. 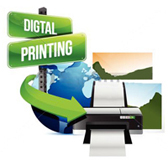 All printing is done to the highest professional standards, including cropping and colour corrections where necessary. Prints may be ordered on Glossy or Lustre surfaces, with or without borders. Special papers such as self-adhesive labels, metallic and Fine Art papers can also be used to meet special requirements. Large Format prints from 10"x 15" (25cm x 38cm) up to 1.1 metres x 3.2 metres are printed on our twelve-colour Large Format machine on a variety of surfaces including papers, canvas, vinyl, banner material, back-lit film and many more.